UK book price – fixed or variable? I’m busy setting up a print-on-demand publishing agreement for Fraudcast News with Lightning Source, part of my ongoing and rather haphazard marketing and promotion efforts for the book. I’ve been told Lightning Source will be a better bet than Lulu, my existing choice, for distribution and trade catalogue services, amongst other things. The idea is that that will help get Fraudcast News into bookshops and elsewhere. I’ll only know for sure once I’ve tried. I failed to tick some box or other when I got started on Lulu which meant that up until now, the book has not shown up via conventional retail channels. The process is a tedious, time-consuming one, not least because I have to get a new ISBN to identify the book. What would cost me £126 for a block of 10 in the UK is a free service in France, where I live. Amazing that the UK charges so much money for the right to exclusive use of a few digits to identify your publication. Total rip off, if you ask me. I then used a free online service to convert the new ISBN into a bar code, throwing up the question of what the sequence of digits actually means. I now know that the subsidiary line of code 90000 tells a computer a book has no suggested retail price. Given that Fraudcast News is free to download as a PDF, it all gets a bit complicated. All the more so given the possibilities of people buying via different retail channels in physical bookshops, online via retailers or direct from Lightning Source itself. At the same time, I’ve also been lucky to get some help from the good people at Positive Money with a re-design of the book cover, a much needed improvement to my own DIY effort. The result is the following image, which I like a whole lot better. This is a recent talk I gave to the annual conference for the non-governmental organisation Positive Money. A word to make clear my interests: Positive Money is an organisation whose work I greatly admire and for whom I have done some volunteer work in the last year or so and for whom I may do more in the future. I choose to do that work, while also being a journalist, because I think the structural failures of our governance systems are such that they are an integral part of any story political journalists should be covering. That is true of debt-based money, the issue raised by Positive Money, but also of other issues such as poverty, inequality, incessant Western war-mongering and environmental despoliation. Our leaders’ feeble attempts at regulating banks, international finance and global markets have totally failed, leading to ongoing financial crises since the global meltdown of 2007-2008. The false debates created with regard to conventional economics, and our policymakers’ fixation with a sterile definition of prosperity as determined by economic growth, are major barriers to change. Conventional media themselves fail to convey the extent of these governance problems, or even to appreciate that governance issues are the problem. The question I was tasked to answer was why conventional media don’t “get” the idea of debt-based money. 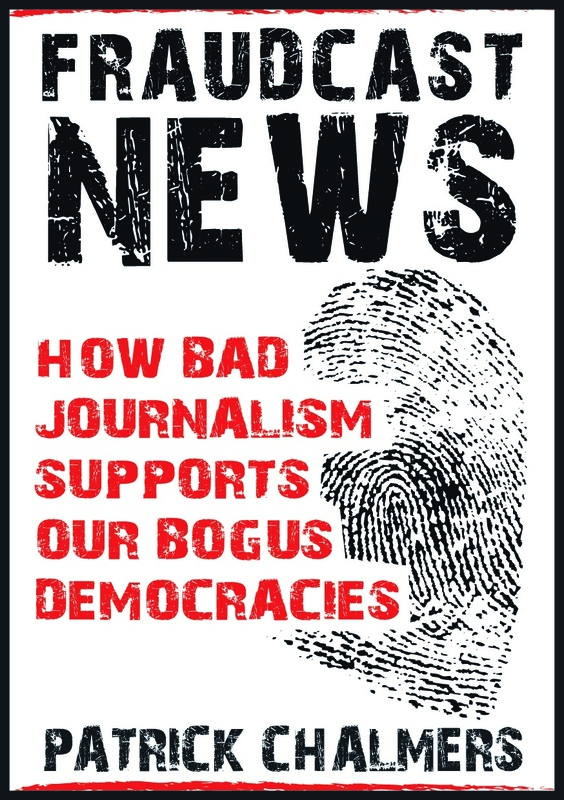 My answer could be easily adapted to fit these various other issues, as I make clear in Fraudcast News – How Bad Journalism Supports Our Bogus Democracies.